Home bottom-posts Governor KPK Launches Digital Database on Terrorism. A comprehensive digital database on terrorism has been launched containing statistics of terrorist attack in Pakistan for the last fifteen years. 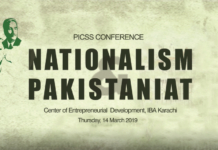 The database is prepared by an Islamabad based independent Think Tank Pakistan Institute for Conflict and Security Studies (PICSS). 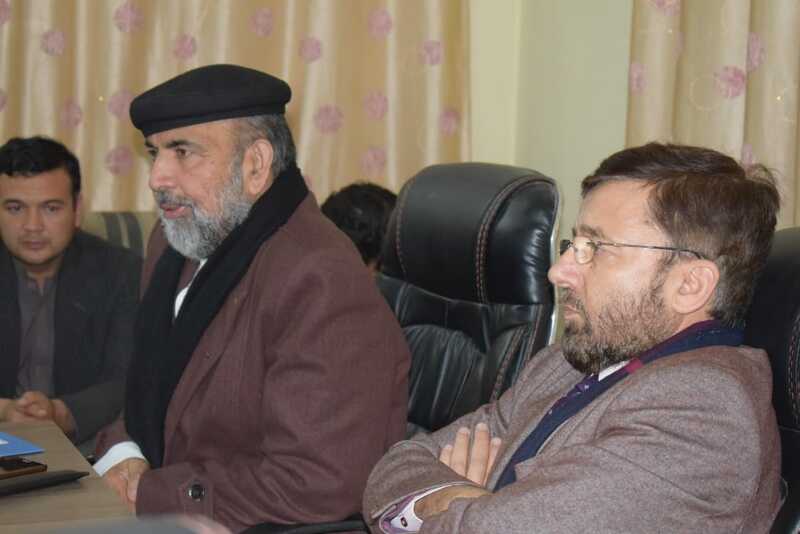 Database was formally launched by Governor Khyber Pakhtunkhwa Sardar Mehtab Ahmad Khan in a ceremony organized at Pakistan Institute for Parliamentary Services. Ceremony was attended by defense analysts, media representatives, diplomatic community, researchers and representatives of civil society. 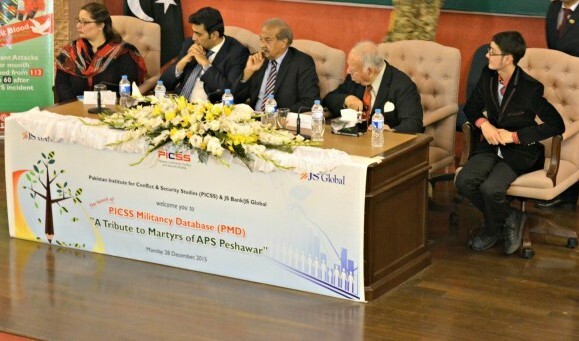 The database is dedicated to APS Peshawar Martyrs in Pakistan Institute for Parliamentary Services. The database provides options to study comparative patterns of terrorist attacks, types of terrorist attacks, types of casualties, region and district-wise comparative analysis and many other aspects. The database will provide ten different reports to its users. This is for the first time that an online database on terrorism will be available in public domain free of cost. Governor Mehtab said on the launching ceremony of the digital database that accurate data is most important for policy formulation and assessment. He congratulated Team PICSS for preparing and launching the database on terrorism. 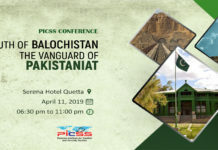 On the occasion Managing Director PICSS Abdullah Khan said that PICSS Militancy Database (PMD) will be available free of cost to media, researchers, and other sectors. This will be for the first time that a comprehensive database on terrorism will be available in public domain. 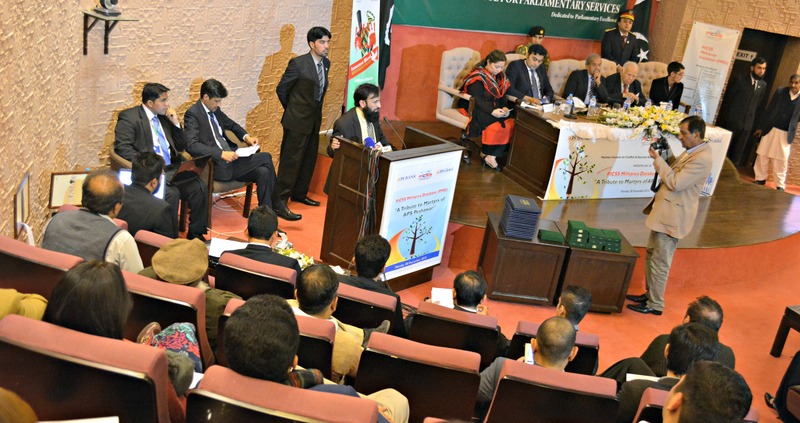 Commemorating APS victims Sardar Mehtab Ahmad Khan has said that the nation is united with the sacrifices of the innocent students who were killed a year ago in Peshawar. He said there are two 16 Decembers in our history but one of them (1971) divided us while the other (2014) united us. He said Zarb-e-Azb has done a great job as shown by PICSS database that after one and half year of Zarb-e-Azb terrorist attacks have gone down to the level of 2008 when recent wave of violence had started. Government is playing its part to rehabilitate temporary displaced people. 38% of the TDPs from North Waziristan has been rehabilitated. The governor said that the problem is not with the curriculum but with the policies of Pakistani State pursued in different times. 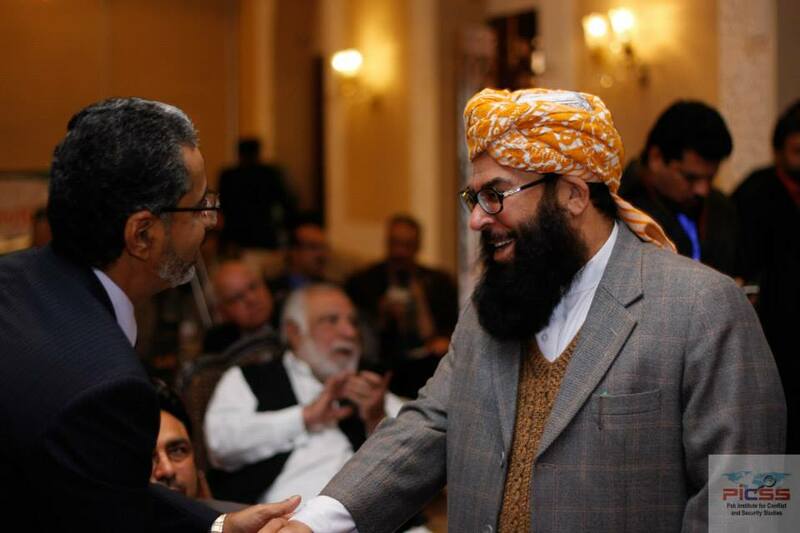 He said that for the first time Pakistani State is right now pursuing policies in the right direction. He hailed the statement of foreign office in which Pakistan expressed its solidarity with President Bashar Al-Asad. 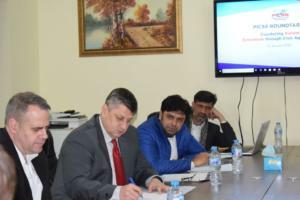 Chairman PICSS Akram Zaki said that PICSS Militancy Database shows there were five phases of terrorism in Pakistan after nine eleven. First phase was from 9/11 to 2004 when violence was at lowest stage but when on American pressure Pakistan entered its armed forces into FATA to contain militancy the militancy spread in all over the country. Third phase started after Lal Masjid operation which propelled militancy to highest level. Military operations in Swat and South Waziristan helped in reducing violence but not as much as in the last phase after APS we have seen as the militant attacks are now at the level of 2008. Abdullah Khan, Managing Director PICSS said that during last fifteen years more than 47 thousand people were killed however, generally people do not segregate civilians from militants and issue generalized statements that fifty thousand civilians have been killed. 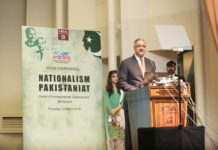 He said although more than forty seven thousand Pakistanis have been killed but majority of these Pakistanis is unfortunately militants not the civilians who were killed during military operations. He said that majority of those killed are militants who were killed in different military operations and civilian’s casualties are almost half to the militant casualties. He said that complete figures will be launched in PICSS Annual Report in first week of January 2016. Sponsor of the ceremony Kamran Nasir CEO of JS Global said that his JS group will continue to sponsor research and humanitarian activities. 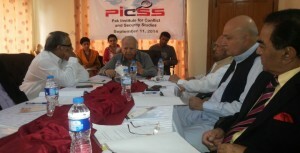 He said that corporate sector can also benefit from PICSS Militancy Database. This is for the first time that we have seen such a comprehensive database on terrorism. He said that JS group has offered 144 scholarships to APS students and a endowment fund has been established for this. 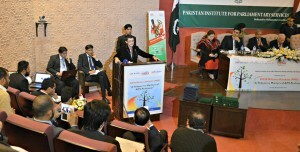 He said that this support will be perpetual as the scholarships will be offered on continues basis. During the launching ceremony of PICSS militancy Database an APS survivor Waleed Khan got standing ovation for his courageous struggle to get back on his feet. Waleed was shot six times in his face but he survived and still studying in APS. He said that before the attack I was a weak Waleed but now I am a stronger more determined Waleed who wants to live for Pakistan. Speech of Andaleeb Aftab the mother of Shaheed Huzaifa Aftab brought tears into the eyes of audience. She said that despite losing her son to terrorist she is proud of his son who earned her great respect. She said that martyrs are not prepared in one day. Huzaifa was born to be a martyr as he was the most pious soul and had unique habits of not harming others and taking care of his fellows. She said that terrorists are misusing the concept of Jihad to make innocent children terrorists. There is a need to highlight right concept of Islam. Tufail Khattak father of Sher Shah Shaheed said that he is proud of sacrifice of his son. The nation stood behind us which is very inspiring. He said that we will not bow down before terrorist ideology and threat. We will fight back with whatever capacity we have.